I’m thinking about this not only because of my work in progress, but also because the battle between farmers/ranchers and wolves is a thing in my state, and it breaks my heart. They are exquisitely beautiful beings, loyal to the pack, mating for life. 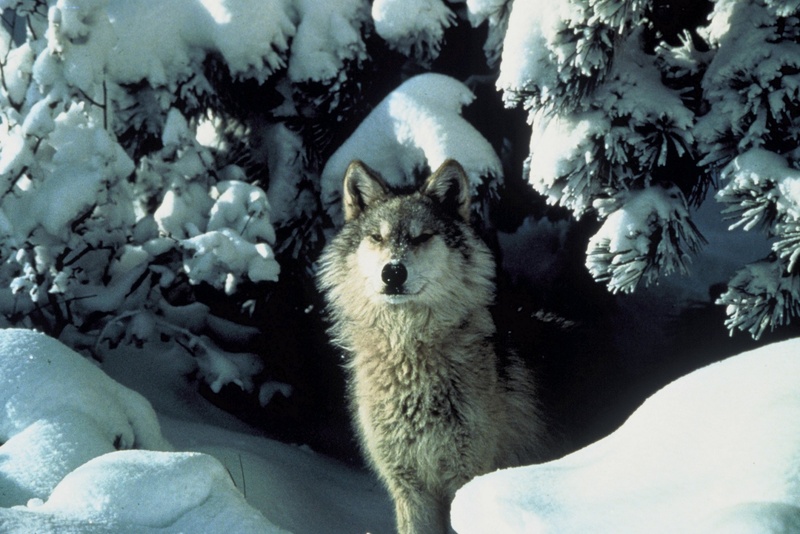 In medieval England the wolf was considered an enemy of foresters (i.e., the king’s hunting grounds) and the wool trade (monasteries grew rich on the wool their flocks produced), so the goal of wolf hunts was to rid the realm of their presence. In Aleksander Pluskowsky’s book, Wolves and the Wilderness in the Middle Ages (Boydell Press 2006) he notes that “the last reliable reference to wolf trapping in England is dated to 1394-6, from Whitby Abbey in East Yorkshire, where the monks paid 10s 9d for tawing fourteen wolf skins” (30). Also much on my mind: John Thoresby suggested to Magda Digby in A Vigil of Spies that she might cease referring to herself in third person, that she had surely done sufficient penance for her youthful errors. Would she attempt to change her speech pattern in honor of his memory? I’ve been debating this with myself ad nauseam. I’d be curious to know what you think. I think you will enjoy a post I wrote for the Women’s Literary Culture and the Medieval Canon network, an international network funded by the Leverhulme Trust and centered at the University of Surrey. I feel it a great honor to be invited to contribute to their blog. My post is about how I embody my characters. You can read it here. It’s Sunday afternoon. In two days Diversion Books will release e-books editions of Owen Archer 1-7, 9 & 10 in the US and Canada. I can think of little else (though I’m doing my best to mark up the York map for the first Kate Clifford mystery–Charlie is waiting to work his magic on the map). It seems only fair that you, my readers, should be the first to see the beautiful covers the team at Diversion Books created for these–they’ll also grace the trade paperbacks, which should be available by late August. So here they are, in order! And the two most recent, The Guilt of Innocents and A Vigil of Spies, are published in the US and Canada for the first time this week, in any format. So those of you who thought there were only 8 Owen Archers, surprise! The series didn’t end with The Cross-legged Knight after all. Aha. I hear the whispers, But where IS The Cross-legged Knight? Aren’t there 10 books in the series? Yes, but #8 is still available in trade paperback by my original publisher, so it couldn’t be part of this package. I’ll post links to special offers here this week, and a link to Patricia Bracewell’s blog–she cooked up a Q&A for the launches of both the Owen Archer and the Margaret Kerr e-books (Maggie, 11 August) that we both think you will enjoy! You’ll learn how I worked with the team at Diversion to create the fresh look, along with many other fun facts Pat teased out of me. I’ve spent a few weeks working with the Owen Archer novels to be re-released in eBook 28 July, and in trade paperback a month later. The tasks have seemed endless—writing fresh “flap copy” for each book (what do you call it when it’s also used to describe e-books, which, of course, have no “flaps’? ), spot checking the text files to make certain that I’d updated my own files with the copyedit and final proofreading corrections—in some cases trying to reconstruct this from years ago, finding old errors that can now (happily!) be fixed, suggesting major symbols from each book for cover copy. A busy time, and, although I’ve been surprised by how much I’ve enjoyed going back over the books, I’ve felt overwhelmed. Until a friend’s comment helped me shift my attitude. She thought it an incredible opportunity that few people have, to read back over my career, appreciate what I’ve accomplished, see where I’ve been. Few people have careers that are, essentially, written down and saved. She’s right. Along with the work, I’ve been visiting old friends, some I’ve not encountered in a long while. Others who continue to be much on my mind. And characters about whom I’d completely forgotten, such as Brother Florian, Thoresby’s chief clerk who’d expected to replace Jehannes as Thoresby’s secretary when Jehannes is promoted to Archdeacon of York. Florian resents Brother Michaelo for this. Brother Florian arrived at Windsor on the third afternoon of Thoresby’s visit. He was soaked through, having shared a barge with a group of jongleurs who had contrived to fill the enclosed area with their gear and persons before the clerk boarded, forcing him to make the trip as unprotected as the bargeman. Fortunately the sleet of the previous few days had subsided to a chill mist and occasional drizzle, but it was enough moisture to weigh down Florian’s cloak and his mood. “Might one ask, Your Grace, why these papers could not be entrusted to Brother Michaelo, your secretary, who sits so cozily in your chambers in London? 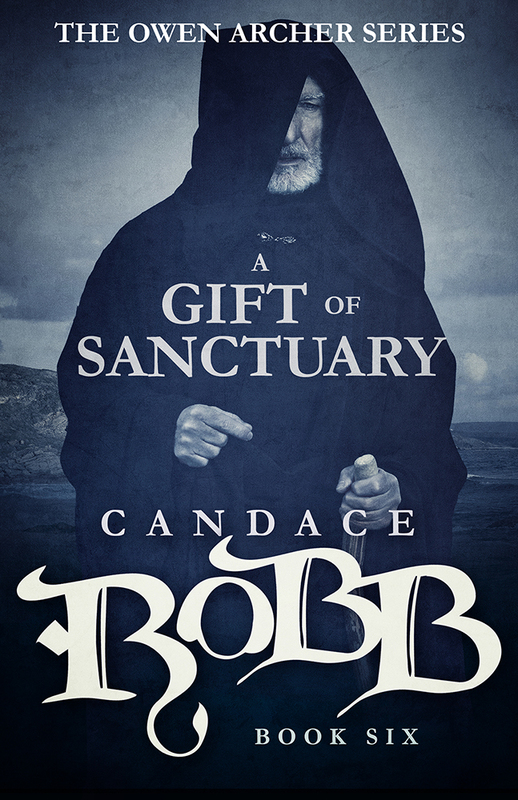 Can he really have so much to do with the ordering and shipping of supplies to York that he could not be spared for this journey?” Brother Florian, white-haired and confident from years of experience, was not one to mince words. Brother Florian snorted. “Had I been truly indispensable, you would not have passed me over when looking for a secretary to replace Jehannes, Your Grace. It is no doubt Brother Michaelo’s Norman wealth that is truly indispensable.” Florian raised his cup to his lips, discovered it was empty, and thumped it down with a growl. And then Florian seems to vanish from the books. Hm… I wonder what he’s been up to? Owen Archer’s men Alfred and Colin first appear in The Lady Chapel—I thought their debut was in The Nun’s Tale. My, how Alfred changes over the years. At some point I stopped Magda’s amusing practice of referring to people as the animals they resemble, except for a few—Thoresby is Old Crow, Owen is Bird-eye. When I was experimenting with a new book last year I wondered whether Brother Michaelo had ever been on horseback in the books. I’d forgotten all about his playing messenger between Windsor and York in The King’s Bishop. And, of course, his journey to St. David’s on the west coast of Wales is largely on horseback. Yes, I’ve been far busier than I’d imagined I’d be in high summer, but how can I resent spending time with such dear old friends? I did a dangerous thing yesterday–I peeked at my reviews on amazon. 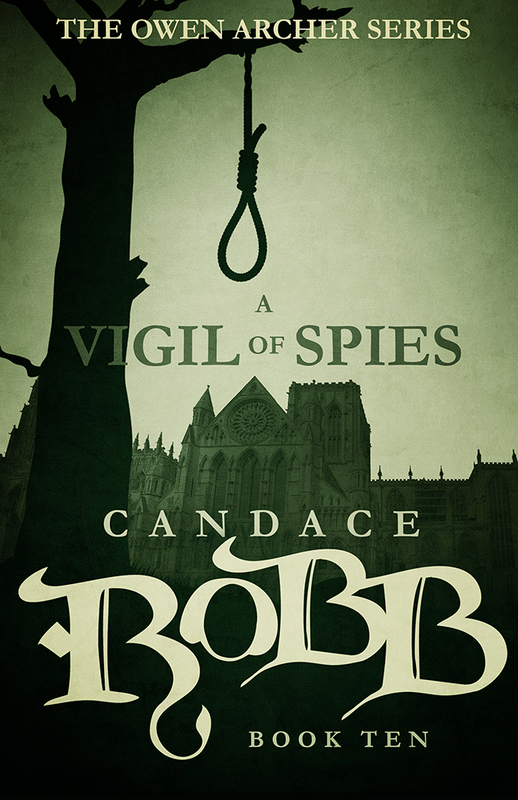 What drew my attention was A Vigil of Spies, never published in the US, but with ten reviews on amazon dot com–and discovered they are all 5-star reviews. My dear fans. What can I say? My steadfast fans. Seeking out the two books in the series never published in the US and paying the higher import price, then letting me know how much you enjoyed them in such a public way. Thank you. You are the wind in my sails. Believe it. A perfect discovery as I dive into the 11th Owen Archer. And while I’m on the topic of appreciation, I want to say how much I love my Italian publisher, Piemme. They give me exquisite covers, and for The King’s Mistress paid me the compliment of insisting that my own name appear on the cover, not Emma’s. I had to laugh–they even remembered to remove the joke in the acknowledgments where Emma thanks Candace for sharing her (my) research. I can’t say enough wonderful things about Piemme–they treat me so well, and they are courteous in a time when that’s so rare–when cutting a bit more of the manuscript of The King’s Mistress they sent me a detailed list with page references and asked that I approve each cut. And they did exactly as I asked. 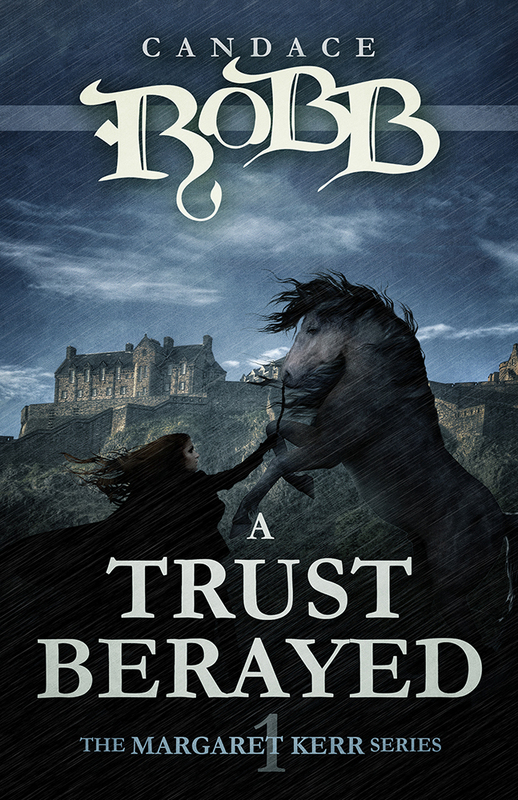 They have published all my books–10 Owen Archers, 3 Margaret Kerrs, The King’s Mistress, and they’ve patiently asked each year about A Triple Knot–this month I sent the pre-copyedit ms to my agent to pass on to them at their request. Writing is quite a solitary occupation, and the publishing business is in such turmoil it can be easy to wonder whether anyone cares. You do, and I am so grateful. Thinking about this, I took the time to post a (very brief) review of a book I’d just read and enjoyed on goodreads. Actually Emma did; Candace doesn’t yet have a goodreads account. The book is Days in the History of Silence by Merethe Lindstrom. Emma’s brief review: “A quietly chilling, powerful study of a marriage damaged by secrets.” A friend had loaned it to me, warning me that although she loved it, her book club had hated it and the discussion had fizzled. She was frustrated and hoped that as a writer I’d have more to say. My stream of consciousness report to her yesterday has sent her back to the book to see all that I saw. It seems a simple book, but it’s not. Not at all. And now to quit this loosely themed post and return to York! I’ve been thinking about the various ways I use history in novels. In the Owen Archer novels, I (as Candace) make use of the history to create the motivation for the crime and the circumstances–political, cultural, local–that led to it and that create obstacles during the investigation–including whether, in the end, justice is served. 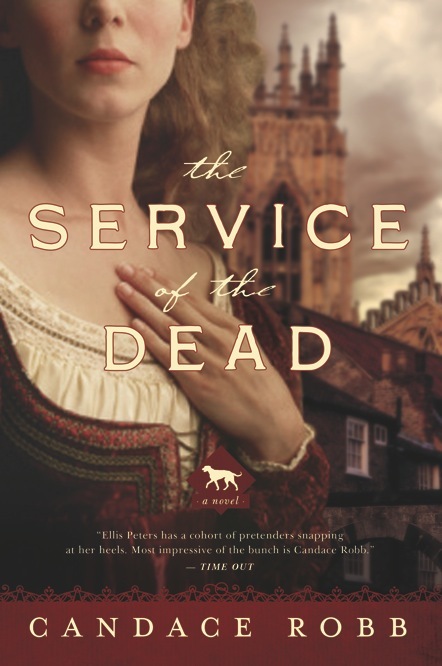 In the Margaret Kerr novels the history is even more to the forefront, informing everything. The conflict between Scotland and England is the occasion for the upheaval in Margaret’s life. In The King’s Mistress, my focus is on the history of a specific woman, exploring a plausible scenario for Alice Perrer’s rise in status from the daughter of a merchant to the notorious mistress of the king. So the larger historical backdrop is significant as it pertains to Alice. 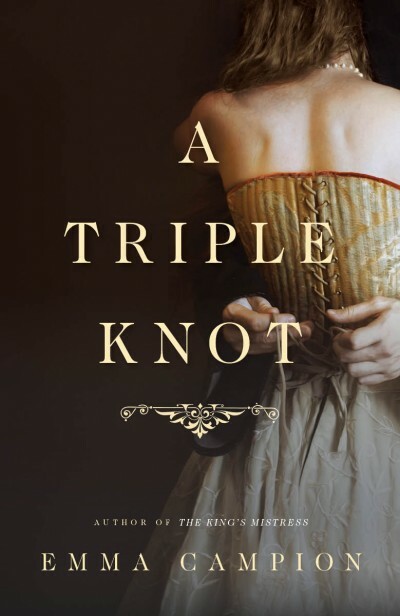 I am thinking about this as I rewrite this first novel about Joan of Kent*, A Triple Knot, chronicling Joan’s marriage complications, caused in part by King Edward III’s determination to wage a costly war with France. I touched briefly on her “scandalous” history in A Vigil of Spies, then again, in a bit more depth, in The King’s Mistress. But I didn’t realize then the extent to which Edward’s war was one of the catalysts for the mess. The war is an antagonist in this story, as it is in the Margaret Kerr books. Poor Joan. I keep thinking about what Guildenstern says toward the end of Tom Stoppard’s Rosencrantz and Guildenstern Are Dead: “There must have been a moment, at the beginning, where we could have said—no. 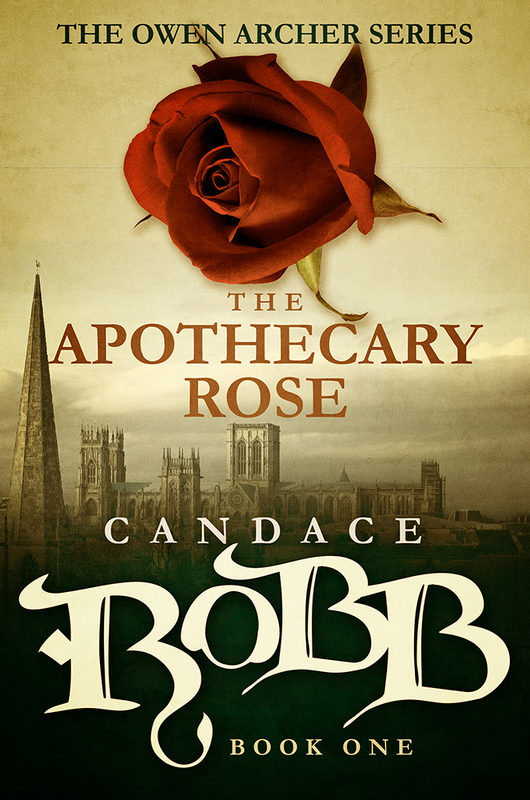 But somehow we missed it.” For Joan it isn’t so much that she misses her chance at no, but that she impulsively chooses a way out that leads to–well, in the long run the War of the Roses. I certainly wouldn’t want that on my conscience. Even so, it’s a beautiful love story. *The Hero’s Wife is the title of the follow-on book, covering Joan of Kent’s life after her marriage to the Black Prince. As publishers seek leaner novels, I split Joan’s story in two in order to do it justice. And I know, I know, I’ve been writing this book forever. In the Author’s Note of Vigil I mentioned the little tricks I used to cheer myself up while writing the book in which one of my favorite characters was dying–a houseful of interesting characters, the country house mystery plot. Even so, when it came time to write the ending scene, I stalled. In fact Joyce, my first reader, called me after reading the full draft to ask where the end was. I assured her she had the entire ms. She assured me that my readers would feel cheated if they were not present at the deathbed for which they’d been prepared throughout the book. I suggested that everyone would be happier if Thoresby died in between books. She sighed. Another good friend suggested that I meditate on what Archbishop Thoresby meant to me, what significance he’d taken on during my years with him, and then use a ritual to thank him and allow him to pass away. I realized he’d taken on bits and pieces of many wonderful people in my life, that I’d enjoyed how he sparred with Owen, and that I’d appreciated how accessible he was as a character. I always knew precisely how he’d react, what he’d say, always got him on the first draft, even in the very first scene in which he appeared. I performed my little ritual, thanking him for all this, and assuring him that he would remain in my heart. Still, I found it an incredibly painful scene to write. I cried all the while.